It's Fat Tuesday! Easy Shortcut Etouffee! — Rustic. Joyful. Food. It's Fat Tuesday! Easy Shortcut Etouffee! This incredible, fast dinner is keto-friendly and honestly one of my favorite fancy weeknight meals! This recipe is also published this month’s issue of 425. This recipe has some wonderful, traditional elements and some very fun short cuts! I know the golden roux is the cornerstone of all great Creole cooking, but sometimes when adapting recipes to fit our busy schedules it’s important to try a different method. I skip the roux base altogether and swap it out for thickened cream. 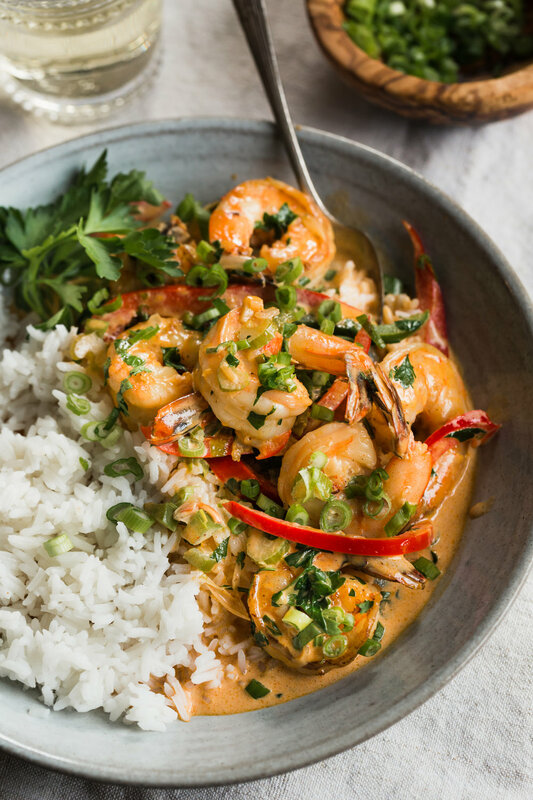 The gulf shrimp I picked up are plump and juicy, and this entire dish comes together in the time it takes to cook the rice, with just a little prep. Long live the 20-minute dinner, and happy Mardi Gras! In a large skillet, melt butter into olive oil over medium to medium-high heat. Add paprika to hot butter and oil. Once foamy, add shrimp. Do this in 2 batches so shrimp cook evenly and don’t steam, losing their juices. Sauté shrimp for 1 minute on each side*. Season with kosher salt. 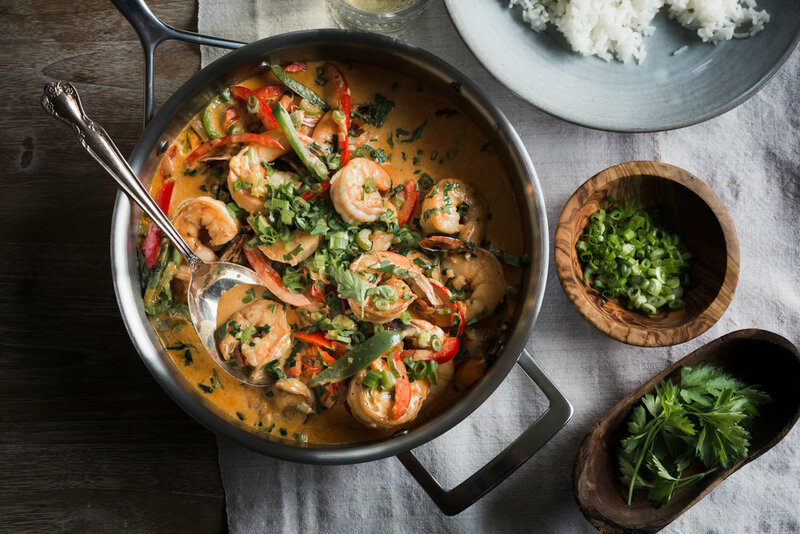 Once shrimp has finished cooking, but isn’t quite cooked through, remove them and set aside. Add the rest of your seasoning to the hot pan. Then, add shallots, garlic, diced bell peppers, and celery. Season all this with kosher salt. Allow veggies to cook 2-3 minutes, then add heavy cream. Allow cream to begin to bubble around the edges of the pan. Cook 2-3 minutes, then taste for seasoning, according to taste. Add shrimp and thinly sliced peppers to the dish along with 1/4 cup parsley. Cook shrimp in the hot, bubbling cream 3-4 minutes until cooked through and bell peppers are crisp tender. Serve over steamed Jasmine rice and garnish with the remainder of fresh parsley and chopped scallions. *Make sure shrimp are peeled, deveined, rinsed, then patted dry.